Anyone who follows this site will know all about of my love of oils for the skin (both face and body). They, along with serums, absorb into and nourish the skin so much better than a moisturiser. There’s only one problem. There are now so many wonderful oils on the market. And now to make matters even worse, a new range has just launched that is so heavenly they’ve even named it “Oils of Heaven”!! Oh boy, what’s a girl (or boy) meant to do???? Ok let’s calm down and look at this sensibly. It comes from the people behind the absolutely wonderful site Love Lula. I discovered them because they bought out one of my favourite brands Balm Balm. All their wonderful make ups and skin care products are completely natural and chemical free, ethically sourced and environmentally friendly. Yup, these are really good people! 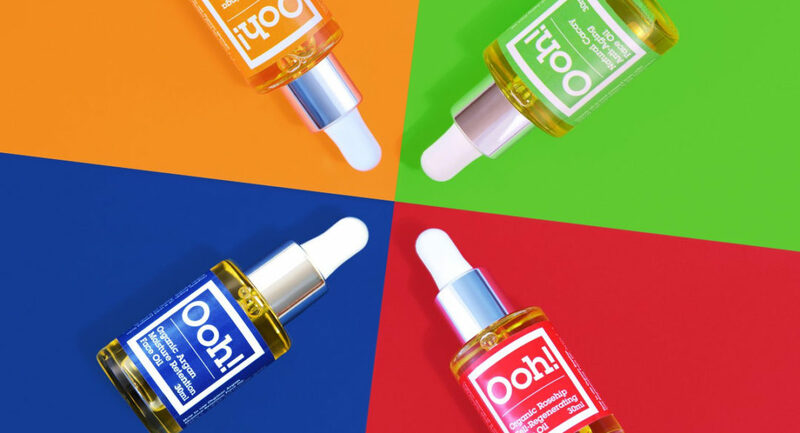 And now they’ve created their very own range of 4 glorious facial oils. They recognise that there are a lot of oils to choose from so have scoured the world for the most effective and have narrowed it down to these four. They all contain ingredients known for healing and repairing the skin and are sourced from small suppliers, in particular trying to help woman to maintain a livelihood and help their communities. This is the best nature has to offer. Argan oil is well known for it’s fantastic anti-ageing properties being rich in vitamin E and essential fatty acids. It’s regenerating and great for helping the skin retain moisture. I have to admit I was not familiar with cacay oil and in fact this is the first time it’s been brought to the UK market. Cold pressed from wild cacay nuts, it comes from Colombia and apparently has double the amount of vitamin E that Argan oil has and twice the amount of linoleic fatty acid. It also contains large amounts of retinol which is one of the most effective anti-ageing ingredients for the skin. In other words this oil is a powerhouse of wonderfulness. It’s already proved to be a big winner and is flying off the shelves. This is rich in vitamins C, K and A, fatty acids and retinol. As suggested in the name it’s great for regenerating cells and is particularly good for scars and stretch marks as well as fine lines. This is great for cleansing as well as nourishing. It is high in anti-oxidants which makes it ideal for preventing free radicals from damaging the skin. Of course the big question is which one to go for? If you have mature skin with no particular skin issues, you can’t go wrong with the Cacay Oil. Argan oil is also fantastic for anti-ageing. If you have an oily skin you may want to try Moringa as it’s a bit lighter (although none are heavy). It all depends on your particular needs. They are all excellent with the highest quality and purity possible. And what I love is that the price for this incredible quality is very reasonable with all the oils coming in at £19 and the Cacay at £39. Just compare this with the price of anti-ageing creams in your local department store that are full of chemicals that will not do your skin any favours. Please can you tell me stockists of the Love Lula oils, or do I buy them on their website? Yes just buy on the Love Lula website. Click on the links in the article and will take you straight there. Just click on the links in the article and it’ll take you directly to the site to buy them.